The book Atkins Diabetes Revolution, published in 2009, is based on the practice of the late Robert C. Atkins, MD, and written by colleagues Mary C. Vernon and Jacqueline A. Eberstein. Dr. Atkins was instrumental in popularizing the connection between obesity and insulin and the importance of limiting carbohydrates, particularly refined sugar and grains, for preventing and managing type 2 diabetes. Written partly in response to what have been termed the twin epidemics of obesity and type 2 diabetes, the book offers a comprehensive program based on Dr. Atkins' low-carbohydrate diet, for losing weight and preventing or improving type 2 diabetes. People with type 2 diabetes (which used to be called adult-onset diabetes or non-insulin-dependent diabetes) have insulin resistance, which means their bodies can't use the insulin they produce. Normally, insulin goes into cells and helps them process blood sugar (glucose) into energy. Insulin resistance keeps insulin from getting into cells. As a result, blood sugar rises to unhealthy levels. When that happens, the body's cells may be starved for energy. Over time, high blood sugar levels can damage a person's heart, kidneys, nerves, and even eyes. Who May Benefit From Reading This Book? Dr. Atkins' well-known diet is presented in this book as a way to help people with (or at risk for) type 2 diabetes help their bodies 1) to begin producing and using more insulin and 2) to do a better job of maintaining healthy blood sugar levels. The book's authors say that the key to achieving this goal, as you might expect, is controlling carbohydrate intake. It's also true that most people, whether they have diabetes or not, can benefit from limiting their intake of refined sugar and some grains, as Dr. Atkins' diet recommends. Could You, or Someone You Care About, Be at Risk for Type 2 Diabetes? Many people who actually have type 2 diabetes don't know they have it, and many who are at risk for developing it aren't aware of that fact. Risk factors for type 2 diabetes may include: being overweight or obese, carrying excess fat around the abdomen, an inactive lifestyle, high blood triglycerides (a type of fat), low HDL cholesterol, and/or high fasting blood sugar. Possible symptoms of type 2 diabetes may include: extreme thirst or hunger, frequent urination, unexplained weight loss, unusual fatigue, blurry vision, irritability, numbness or tingling in hands or feet, slow healing of cuts and bruises, and frequent skin, gum, or bladder infections. The authors of the book encourage readers to individualize their meal plans. Atkins Diabetes Revolution has meal plans at three different levels of carbohydrate intake, starting at 20 grams per day and building to 40 and then 60 grams per day. The 60 grams per day menus in the book include more fruit and vegetables. There is no limitation on protein and fat intake, meaning the diet is higher in fat than other popular diets. Low-fat dairy products are not recommended because the authors state they are often higher in carbohydrates than the "full-fat" versions. A person on the program should eat no more than 4 ounces of cheese per day. 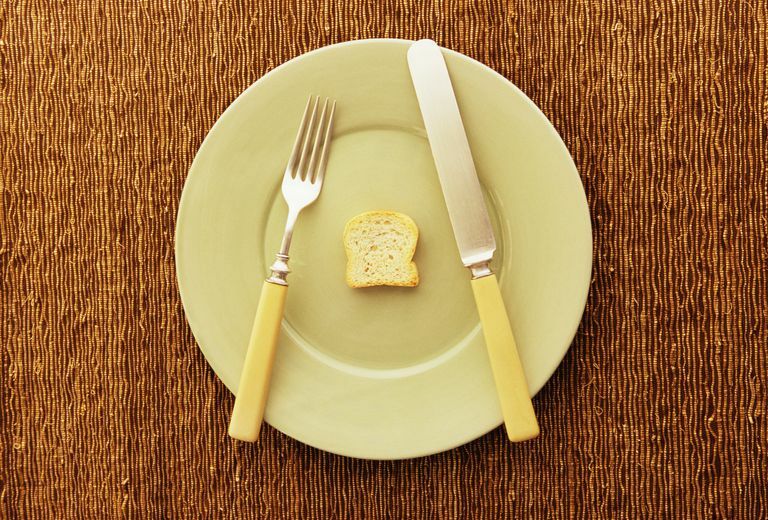 Dr. Atkins' low-carbohydrate diet has received a good deal of criticism in the years since it was first published. Here's a sampling of critics' concerns. The diet labels all carbohydrates as bad, even though some carbohydrate sources (for example, vegetables) are healthful. Low-carbohydrate, high-protein diets may deplete the body's glycogen stores. Glycogen is a form of carbohydrate, stored in the liver and muscle, that's a primary fuel source during exercise. Even though many low carbohydrate diets recommend a complete exercise program, the Atkins diet may make it harder for some people to exercise comfortably and effectively. If you think you may want to try the diet described in Atkins Diabetes Revolution, check with your doctor first to discuss the potential risks and benefits. If you've been diagnosed with type 2 diabetes, you should never change your eating plan (or any other part of your health management program) without your doctor's okay. If you think you may have (or may be developing) type 2 diabetes, your diet-discussion visit is a good time to ask about that, too. Atkins, Robert C., Vernon, Mary C., Eberstein, Jacqueline A. Atkins Diabetes Revolution: The Groundbreaking Approach to Preventing and Controlling Type 2 Diabetes. New York: William Morrow, 2004. “Facts About Type 2.” American Diabetes Association (2015). “Many People at Risk for Type 2 Diabetes Don’t Think They Are at Risk.” American Diabetes Association (2013).